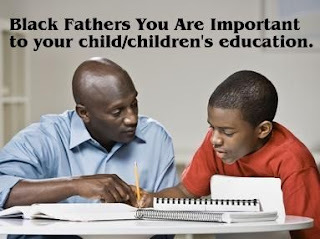 AFRICAN AMERICAN REPORTS: Black fathers, you are important to your child's education. Black fathers, you are important to your child's education. To my fellow black fathers out there you are vital to your child/children's education in ways you may not even know. You can help lay the foundation for your child/children to build on and it's a role that we must take seriously. Watch more on this very important topic below.